Hankie History: We Can Do It! 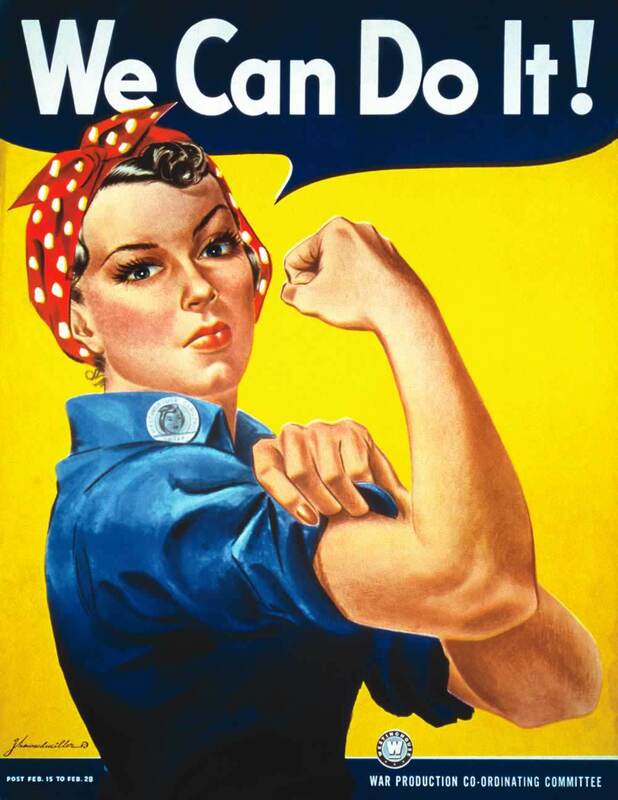 Often misidentified as Rosie the Riveter, J.Howard Miller's iconic WWII poster has become one of the great symbols for women in wartime as well as the modern day workplace. After its initial appearance in 1943, the poster resurfaced as a symbol for workplace equality in the 1980's and it wasn't until then that Geraldine Doyle learned Miller had used a seventeen-year-old version of her as the model for the poster. The bright red polka dot handkerchief and rolled up sleeve symbolize the hard work that women we being asked to contribute on the homefront.